Some good material, but over worked and over "banged!" 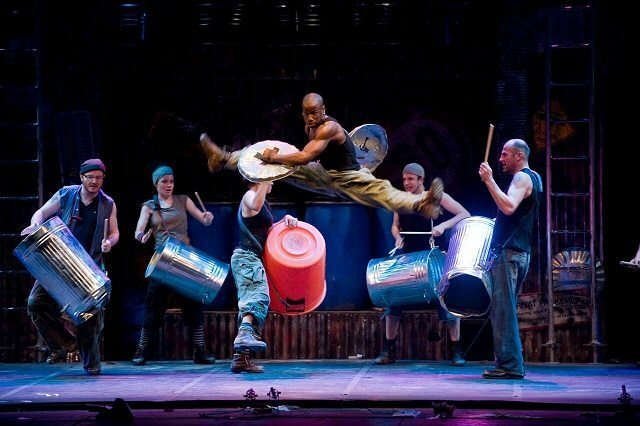 Stomp began as a Fringe production in 1991 and quickly found commercial success. Now in its eighth year at the Ambassadors Theatre, audiences seem to continue to flock to Stomp, a production that celebrates rhythm and movement using “found objects,” night after night. The unique selling point of Stomp is that the viewer does not have to speak any particular language to understand the show; it is universally identifiable through sound and movement, which is presumably why the entire audience seemed to be made up of French or German school children. I saw an excerpt of the show in the Olympic closing ceremony and I was impressed by the seemingly innate rhythmic talent of the performers and the ingenuity of their use of found objects such as bin lids and pipes to make theatre. However after sitting through 1hr and 40 minutes of Stomp, I concluded there is only so much “stomping” one can take before becoming painfully bored. Not to insult the standard of performance, which was extremely high, but the show goes nowhere. As much as I love 10 people banging stuff and throwing some interesting shapes, I love a bit of content and this show has none. ALSO I have to say, the production prides itself on using every day “found” items to make sound…where on EARTH does one find 6+ HUGE black rubber rings? The sound they made was a break from the incessant banging, but seemed somewhat of a break with convention. As I mentioned, each and every one of the performers on that stage is hugely talented and deliver with the utmost conviction. Unfortunately the subject matter they have to deliver is a bit like an actor being given the same line to read over and over for 100 minutes. 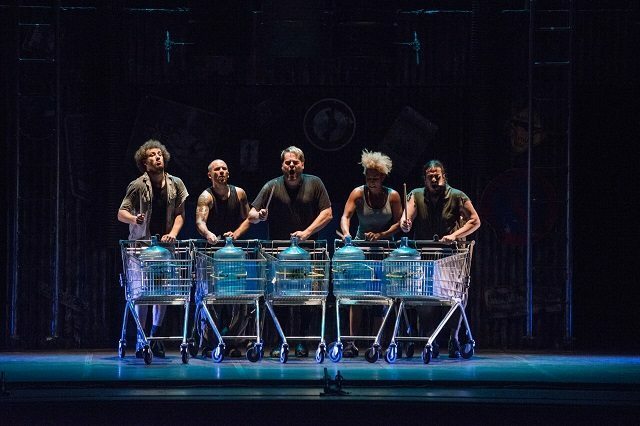 Whist I personally found Stomp a bit dated, it is a good demonstration of new ways to use objects around you to generate performance, which is a great lesson for young theatregoers interested in the craft. On top of that, Stomp is one of the cheaper tickets on the West End, which makes the enjoyment of a show accessible to a wider audience, including tourists who can’t necessarily understand a wordier piece, but may enjoy a bit of banging.